You would think two people at polar opposites of the Anime spectrum, both in terms of taste and incite, would ignite fascinating and informative conversations. You would think that, but you'd be wrong. The "news" segments are basically a joke, short, almost completely devoid of enthusiasm. Lots and lots of ridiculousness. "Jokes" are prevalent throughout, a fair amount of which only the most die-hard otaku would remotely smirk at, or know the reference for that matter. When there's need for clarification or explanation rarely is anything expressed in layman's terms. Evan Minto comes across as knowledgeable yes, but lots of times he comes across as ironically hipster. It's difficult to characterize how he presents himself, his tastes align with some of the most obscure, and that's fine, if it were presented in a way that didn't sound condescending. It's like he can't see beyond his passion for the industry and doesn't realize he is somewhat off-putting when he divulges information about said industry. Victoria is a bit more likable. Though there are lots of breaks in the podcast of Evan explaining terms or techniques specifically for Victoria. This somehow comes off as ignoring the listener (or watcher) that may also be ignorant on this topic. There's not enough audience awareness in those instances. The transitions and segues.... wait there are none. Oh, and let's have a podcast but not watch ANY shows. You can't watch a single episode even? During certain episodes I'll drift in and out of attention because there's no structure whatsoever. There's little to keep the audience engaged for a full episode besides shenanigans or distractions from both parties, and this is merely fleeting faux engagement. These things are getting shorter and shorter so I don't even know how that's a problem, but it is. I'd love for there to be longer, more insightful, more intricate news segments. Any information in general would be great. Can this podcast talk streaming numbers? Can it divulge into the inner workings of Crunchyroll at all? New hires or employee guests? Anything? There's so many interesting avenues that haven't been touched. Divulge! If it's a slow news week, talk about Anime or Manga. If you haven't watched or read anything AND it's a slow news week... Well you better come up with material for an episode and have it turn out better than 27 because that one was a joke. Have someone filter out better questions if the whole podcast is going to be that please? This podcast is a bit disheartening. It has potential, a whole lot of untapped potential. The hosts both have personalities that CAN be more likable than other Anime podcasts, but just don't come across as such in this current format. I don't frequent many Anime podcasts except ANNCast and this. I've seen more than a few IGN Anime Club podcasts and at first they were much MUCH worse than Crunchycast, but it's actually starting to lean in their favor which is insane to me. Don't let that podcast develop into something better than what Crunchycast can become. Also, please, cool it on the dating advice questions! This show probably caters to various ages, but honestly they probably shouldn't be taking dating advice from a podcast of any kind, let alone an Anime/Manga centric one. Thanks, and hoping for a better Crunchycast. Well, it's better than nothing...Or is it? Is it really what the Crunchyroll community wants? I can't speak for all of us, but I can speak for myself. It is good to witness some form of coverage of Crunchyroll's activities, but a small gaggle of people getting excited or attempting humor alone isn't really cutting it for helpful coverage. The broadcast could at least be edited to show clips of promising anime during roll-outs when they are discussed. I didn't get that when I tried Episode 53, and it disappointed me. It's a very easy to implement slight improvement to production quality that would get viewers more interested in trying out new anime. Chaos is to be expected when a few voices are sharing the broadcast, but the frequency of incidents in which the casters talk over each other and spoil plot points is a bit ridiculous. 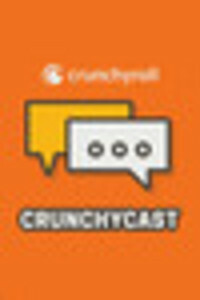 It seems as if the Crunchycast is completely disorganized. As the Crunchycast is now, I feel it isn't worth the budget. As I personally feel the Crunchycast should be, it could be more streamlined, more organized, spoiler-free and do a better job of showcasing new releases. I listened to the most recent podcasts a couple months ago, then started over from the beginning since I liked what I heard. I personally like the news segments because I don't always get to see the news; usually only a few times a month or so. I also like hearing all about the inner workings in the anime industry. I'm only on episode 20, but I hope more of that will show up. Keep at it guys! i saw this on the "updated" list recently and thought i'd give it a try. i'm glad crunchyroll has given this the goahead to resume -- i never heard the original run but i think stuff like this is a great addition to the profile of stuff here, and i hope it can end up highlighting stuff i might not have found on my own. that said: UNCEN PLEASE. the "crrrunch!" sound as a bleep is just... makes me stop listening and turn it off. i feel that the commentators should be allowed to say whatever words that are being chosen for censorship and that censored and uncensored versions ought to be available, similar to a few of the anime titles on this site. if i can see uncensored anime, i ought to be able to receive the same Restriction Level content from a podcast. Such a great series to both watch and listen too! My morning commute is about the length of one episode so walking to work im usually laughing to myself looking crazy lol. Victoria and Evan are both hilarious on social media so I knew this would be crazy hilarious on a podcast. They have very agreeable opinions, very awesome senses of humor and there natural friendship dosn't give you the forced feeling other podcasts can have. Overall, I hope this podcast sticks around for a long time! I love Crunchyroll & and I love the Crunchycast. Crunchyroll is the reason I came back to read manga and watch anime. The best part about the Crunchycast? The hosts are friendly, funny and honest. There are not here to give me a boring lecture or throwing some pretentious and arrogant lecture. They are going to tell me their personal opinion while having fun and respecting my personal opinion and I will do the same thing with theirs. 5 senpais out of 5!! it's good, give it a try! Listen...set your expectations accordingly. Crunchycast is fun, light and full of references to anime, game and manga you can do your own research on. I usually watch with my ipad so i can look stuff up that catch my attention. I've tried a few other anime/manga related pod/vodcasts and darn right put me to sleep. great job guys! These podcasts feature news topics, anime/manga discussion, and a q&a from two (and sometimes more) delightful individuals. It's a really great place to find lighthearted, off-the-wall anime discussion. If you're looking for a fun conversation and want to get interesting perspectives on current anime and manga, look no further.